How many MWC17 users could be happy with 10 Gbps wireless? Read repost of RF COM's BD Harris Cains longread review on this great Barcelona event. 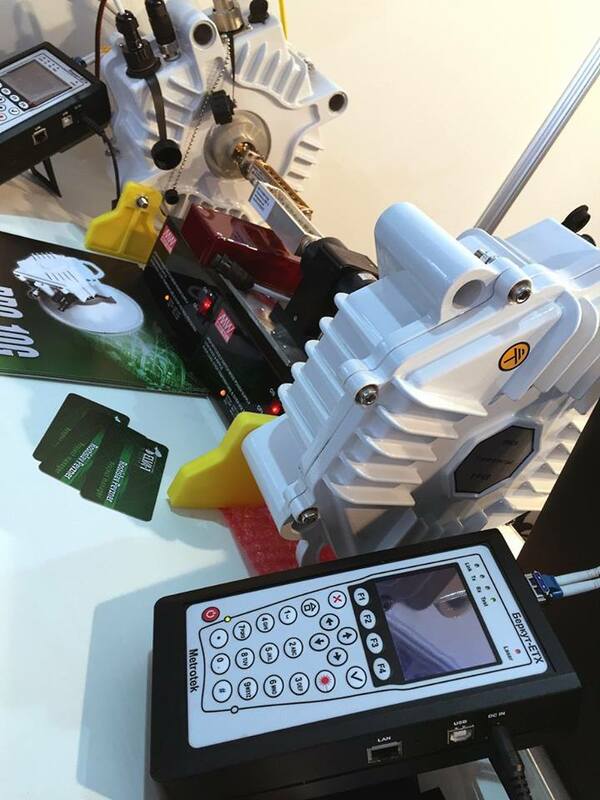 I would like to share my views on a great few days at the Mobile World Congress 2017, and my insight of discussions with MWC17 visitors interested in wireless 10 Gigabit Ethernet. No doubt, the hottest things that dominated at MWC17 were 5G, Internet of Things (IoT) and drones/robots. As you know, all great futuristic gadgets announced for 5G or IoT, need one very important addition, a connection to an ultra-broadband (UBB) network infrastructure. For example, any future mass-market 5G mobile device will be able to reach download speeds of up to 10 Gbps, and the population of such devices might be as many as a million connected devices per square kilometer. Just imagine, how advanced the network infrastructure has to be to satisfy the traffic demand from this number of mobile devices. Since Mobile World Congress 2016, we have seen active deployments of 4G+ mobile coverage in many countries. 4G+ (also known as LTE-A, LTE-Advanced or 4.5G) brings about 3x higher connection speeds compared to 4G, thanks to carrier band aggregation from multiple 4G spectrum bands. In the real world, 4G+ usually means 30 to 50 Mbps mobile download speed instead of 10 to 15 Mbps that is currently most common for 4G. Of course, these numbers are a long way off from the proposed future 5G 10 Gbps per device. But even 4G+ deployment shows that any shift in increase of connectivity speed takes time and investment, requires new infrastructure on the server side and new mobile phone devices which can support 4G+. — What is the real and not advertised throughput of ELVA’s 10-Gigabit wireless link? — How many people can be served with the internet delivered by one link? — What will be the next gen speed limit of ELVA links for 5G? Firstly, it is very easy to prove the real throughput of ELVA’s 10-Gigabit wireless link. We were among very few MWC17 exhibitors who ran live demo traffic on the booth. We also displayed real numbers on network analyzers placed on both sides of the link. 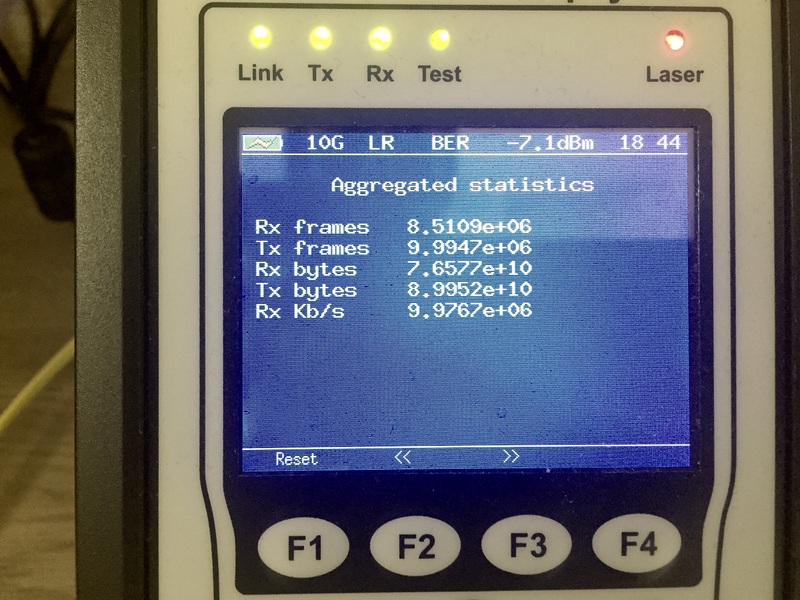 As you may see from the photo of the network analyzer screen, the real traffic is very close to 10.0 Gbps, and these are not just tabletop numbers. At realistic link distances, the traffic will be also close to 10.0 Gbps. At ELVA contracted manufacturing facility, we have online access to demo link at a distance of 2.5 miles and anyone can gain access to the link through the Internet to see how it operates in an urban environment. The demo link can be reached at 5.17.126.182 IP address. To gain access to the demo link, please send your request to sales@elva-1.com. Up to 10K Users per 10 Gbps Wireless LinkSecondly, I would like to answer the question “How many users of heavy Internet traffic could be served on an ELVA 10 Gbps wireless link.” However, there are different types of users — mobile cells, business campus, residential areas and so on. Let me do the comparison with the most demanding users you can ever meet — these are Mobile World Congress attendees. I have calculated the overall Internet connectivity for the Mobile World Congress 2017, based on publically available data. Ookla, the developer of the well-known SPEEDTEST tool, has published the report of the MWC17 mobile connection tests (https://medium.com/speedtest-by-ookla/mwc-2017-a49c0530d368#.b93smqsua). According to the report, an average download speed over the 4 days at Fira Gran Via was 75 Mbps, while upload speeds reached 25 Mbps. Consider 108,000 visitors for all 4 days in total and adding exhibitor’s personnel we can evaluate up to 30,000 persons as the MWC17 peak mobile users’ population. Operator bandwidth calculators usually recommend 10 – 15 users to share one connection. Let’s take 10 users per 75 Mbps, this gives us an estimation of 200+ Gbps overall Internet connection for the whole Mobile World Congress 2017 site. In practice, four carriers; Orange, Vodafone, Yoigo and Movistar most likely brought portable cell sites to offer fast coverage to the masses of mobile-savvy MWC17 visitors. The cells were connected over a fiber ring to traffic exchange points in Barcelona. The numbers above give us understanding that one PPC-10G link could provide connectivity for 1,500 users with the same quality of MWC17. These users could run all heavy traffic apps like ultra-definition 4K videos, movie downloading, virtual reality (VR), 3D tours, and online gaming. For applications such as a business campus I assume 5,000 users per link, and 10,000 users for a residential area. At MWC17 I visited a number of R&D companies who work in the field of developing new RF components for wireless links. The mainstream of the development is in integration of discrete RF components into one or few bigger chips. This will allow more and more advanced RF modulation methods to get higher throughput at the same allocated RF spectrum. I think 25 Gbps outdoor wireless links will be available within a couple of years. This is considering the official fifth-generation network standard isn't expected to be finalized until 2019, I also expect availability of 50 Gbps links in 2020. Now it is too soon to talk about further development to 100 Gbps wireless links, but the pace of technological revolution exceeds all of our expectations. I would like to add, mobile operators and ISPs could get 20-40 Gbps links right now. ELVA’s 10 Gbps PPC-10G link could be easily aggregated and combined up to 4x 10G channels using different polarization and spectrum sub-bands, delivering 40 Gbps speeds now!